Hooper is used for piling purpose. It is available is different size. (i.e. 8" and 10"). We are manufacturer as per our client drg. and specification. The company is engaged in manufacturing and supplying of qualitative Metal steel Hoppers. These Metal steel Hoppers are manufactured by our proficient team using premium grade steel procured from trusted vendors. Our Metal Hoppers are designed and developed at par with the industry standards, and are available in different sizes and at reasonable prices. Our wide range of S. S. Hopper is highly durable, corrosion resistance, strength and long lasting in function. We also customized these S. S. Hopper according to our client specification and requirements. We also offered these S. S. Hopper at most industrial leading prices. Steel Hopper are used for pouring powder, liquid etc in pharma firm & other firm. Steel storage Hooper are manufacture as per customer requirement. 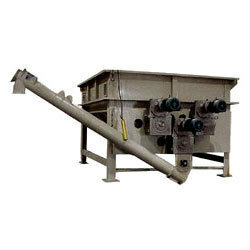 We are providing a qualitative range of Steel Hopper. 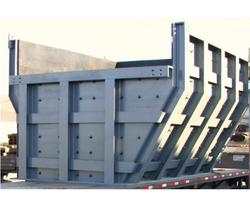 As a notable firm, we are committed to provide Steel Hoppers within the promised time frame.